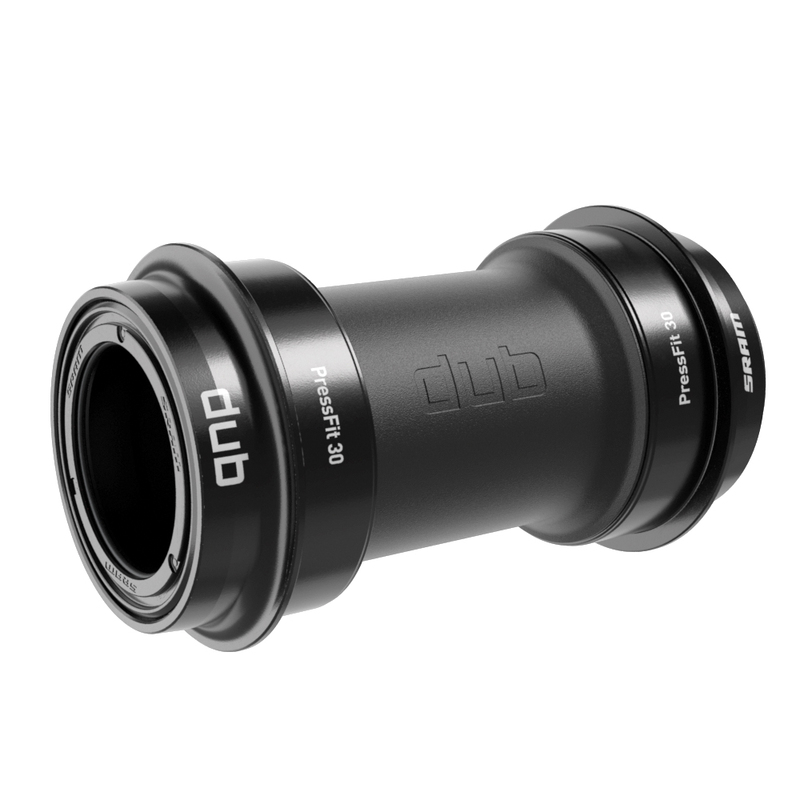 Today SRAM introduced DUB a bottom bracket/crank product line that promises better durability and compatibility with virtually all major manufacturer’s MTB frames. As SRAM tends to do, their tech is wrapped in lots of marketing, trademarks, and acronyms. So what you need to know is DUB is similar to Rotor, BB386, and other standards that use a wide stance oversize alloy BB spindle, but they shrunk the spindle from 30mm to 28.99mm (no, seriously). The Goldilocks quirkiness of 28.99mm is where you should expect to see long comment threads from bike mechanics, and not without good reason. SRAM shrunk DUB’s spindle diameter to increase the room for better bottom bracket seals (DUB is being marketed for MTB after all). Coincidentally, it’s also *just* small enough that you can’t shim the spindle into a BB30-sized bearing, so you will definitely be using SRAM bottom brackets with DUB cranks. Minor plus: existing installation tools that work with GXP cups will work with DUB cups. SRAM claims stiffer and lighter—as you expect—than previous cranksets, but when they give actual weight comparisons a cynical observer would notice that SRAM quotes the DUB crank weights against the existing GXP versions (i.e. steel 24mm spindle) rather than the BB30 versions of the cranksets. One might imagine they do this because there’s only a marginal weight difference if anything. SRAM explains the fixing bolt and pre-load hardware have been refined slightly, but it’s certainly nothing revolutionary. Ultimately DUB’s main marketing point is the BB seals’ durability because DUB otherwise doesn’t do anything that the BB386-type standards didn’t already do: lighter yet stiffer oversize alloy spindles and compatibility with most major BB shell standards. Ten years ago this might have been big news, but today it’s like “um….ok.” It takes a lot marketing to make 1.01mm of a difference sound revolutionary. Still, this is MTB, so the demographic may very well be chuffed….I mean, MTB manufacturers can’t get enough rear spacing/chainline standards so why would new BB skus give them a moment of pause. MTB consumers constantly do complain about BB durability though, so if the more elaborate DUB seals do the job then the standard will do well, especially if they can grab a good portion of the OEM market at the front end. There is one nagging question: if DUB uses a 28.99mm spindle to give more space for better seals while still having big enough bearings on pressfit BB shell standards like BB92 and BB386, there really isn’t a reason why external bearing standards like BSA30 couldn’t just use bigger bearings with better seals since the bearings aren’t spatially constrained since they sit outboard of the frame’s shell. Perhaps the pragmatic answer is that DUB represents the best compromise for the widest variety of frames on the market. Ultimately SRAM might reduce their crank sku#s by eliminating both GXP and 30mm spindle cranks in favor of a sole focus on DUB. There’s no reason DUB couldn’t be adapted to road crank designs (and by extension gravel & CX), but I don’t see OEM or even the aftermarket getting that excited about an incremental change requiring a new standard. Yet DUB doesn’t require frame manufacturers to change anything, so if SRAM did a hot update to Red (their flagship road group) that included a DUB crank, DUB could gain a foothold in the road market that way. One might guess that DUB could debut with the expected 1×12 “Eagle” for road group. But I wager the weight reduction is virtually nothing over existing BB30/BB386. 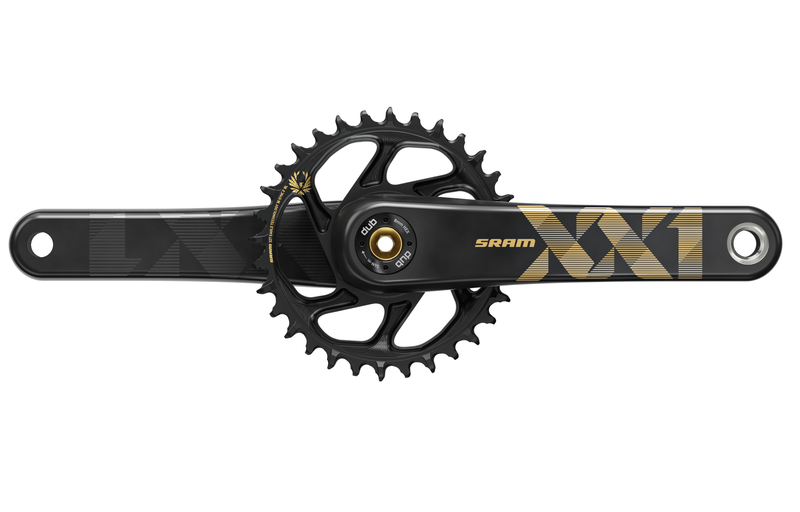 The SRAM Eagle DUB crankset is listed at $485 – $495 and is shipping now. COMPATIBILITY: All levels of Eagle drivetrain systems, All major bottom bracket standards.